Gibbs Law Group’ Prop 65 attorneys have successfully litigated a number of cases on behalf of consumers in the fight against misleading and deceptive product labeling. Misleading labels can pose a number of risks, none more important than the risk of exposure to a toxic or dangerous ingredient that they otherwise could have avoided. California’s Prop 65 was passed for this very reason—to ensure that consumers can make informed decisions when it comes to exposure to potentially harmful substances. 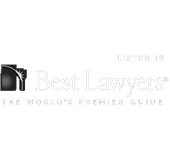 Our false advertising lawyers have considerable experience litigating to ensure consumers’ rights are protected and that deceptive advertising and misleading labeling are halted. Most recently, we filed suit on behalf of consumers alleging that Brazilian Blowout hair product contains formaldehyde despite labeling to the contrary. Want to talk to an attorney about a labeling issue? Free and confidential evaluations are available with our false advertising lawyers by filling out the form to the right.